Adel Amrouche has revealed why he quit his role as a Libya coach ahead of Saturday’s 2019 AFCON qualifiers against Super Eagles at Godswill Akpabio International Stadium in Uyo. 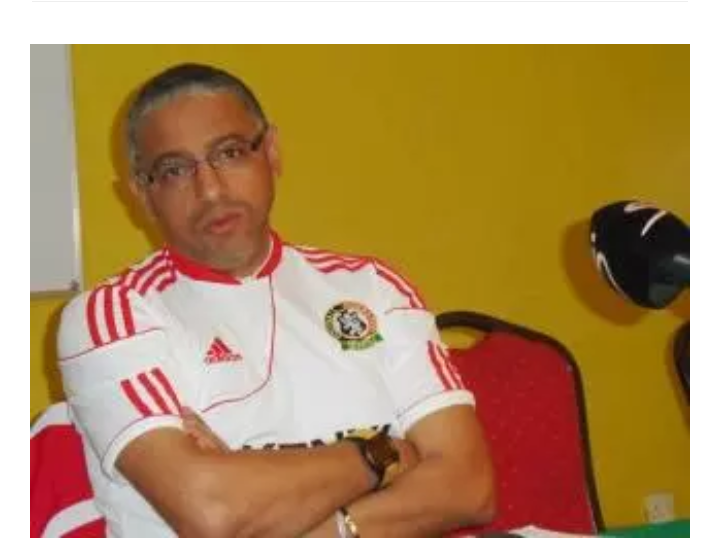 The 50-year-old Algerian tactician left his post on Tuesday, four days to the Mediterranean Knights’ crucial 2019 encounter with three-time African Champions over interference in his job and the failure of the Libyan Football Federation (LFF) to pay his salary for the last six months. Amrouche manages Libyan national team for just six months with away team host the return leg three days later in Sfax, Tunisia. Amrouche told Soka25east.com. "The first problem is about my two assistants. It was stipulated in my contract that I will be the one to pay the assistants, but the flight tickets and hotel accommodation was to be sorted by the federation in all games and camp meetings. "How would I work effectively without the very same people that help me work effectively job as Libya coach. Amrouche speaks about the failure of the Libya Football Federation to meet up with their financial obligation to him. "I have been working for six months without a single coin paid to me and I have still been able to give 100 percent. I love my job and sometimes itsn ot all about money, but principles must be followed or else people will take you for a ride. "I had already built a very strong team and many Libyans were happy as they had never seen them play that level of the game, but suddenly some people at the federation decided to interfere with my job, they even wanted some particular players which to me is next to impossible. "I cannot work in such conditions, that is why I have decided enough is enough as you know I was not given the name Architect for no reason, its because I like to perform. Libya havef our points from their first two games in their bid to qualify for the 2019 finals in Cameroon, ahead of South Africa on goal difference with Nigeria one point behind. Seychelles are last in the group without any points with only the top two teams qualifying for the finals next June.